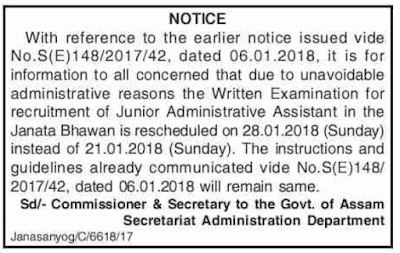 With reference to the earlier notice issued vide No.S(E)148/2017/42, dated 06-01-2018, it is for information to all concerned that due to unavoidable administrative reasons the Written Examination for recruitment of Junior Administrative Assistant in the Janata Bhawan is rescheduled on 28-01-2018 ( Sunday) instead of 21-01-2018 (Sunday). The instructions and guidelines already communicated vide No.S(E)148/2017 / 42 dated 06-01-2018 will remain same. 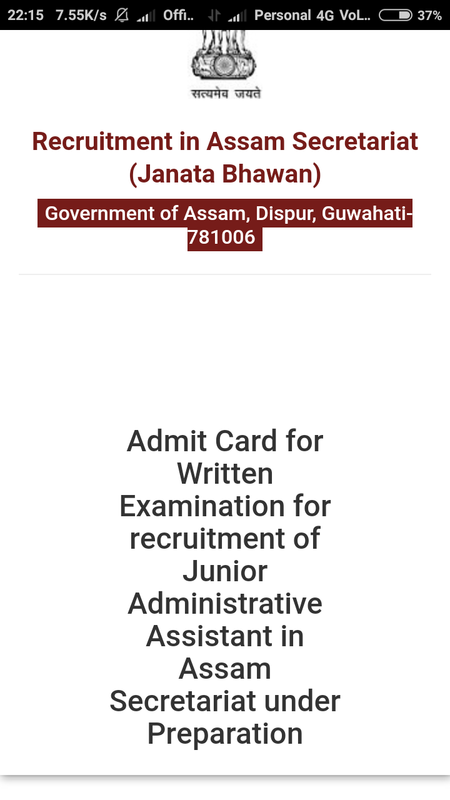 Meanwhile, you can download your admit card from the following link.